StarCraft 2: Heart of the Swarm is still in development somewhere behind the supply depot/bunker ramp defence in front of Blizzard HQ, but Blizzard did drop lots of details on Heart of the Swarm's new units at Blizzcon a couple of weeks ago. One modder on Reddit has devoted 60 hours of his life to recreating the new units in a custom map using the StarCraft 2 editor. 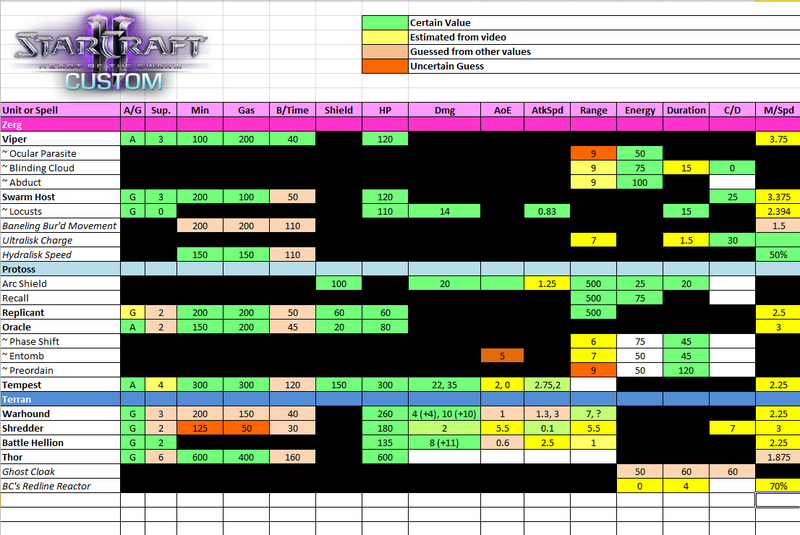 The new units have been built on every specification that Blizzard have revealed so far, handily compiled in this spreadsheet . The result is an early build of a mod that will let you play with Heart of the Swarm's units long before Heart of the Swarm is even close to hatching. Modder XenoX101 says "I will keep updating the map as bugs get found out and new information arises on HotS, and hopefully this will become an ongoing project if people like it." XenoX says that the map still has a few bugs, but is being regularly updated, and is now playable. To try it out for yourself, search for HotS Custom in the custom games list within StarCraft 2. For an idea of what you're in for, check out the officially announced list of new Heart of the Swarm units revealed at Blizzcon.